Picking out a wedding theme can be one of the hardest planning decision for the soon-to-be-couple. Do you want to go on a romantic route, or choose a more rustic feel? If you’re still not sure which direction you want to go, we rounded up the TOP 10 Wedding Themes for any style and venue. String lights, mason jars, twine, lace, and all wood everything, contribute to the simple and “homey” vibe of this theme. 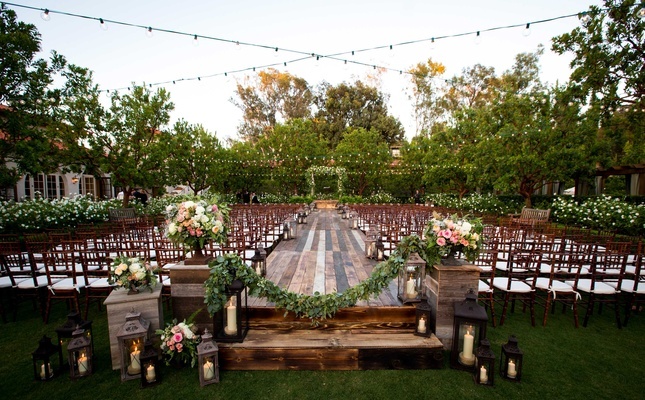 If you are a huge DIY-er then a rustic theme for your wedding is right up your alley! 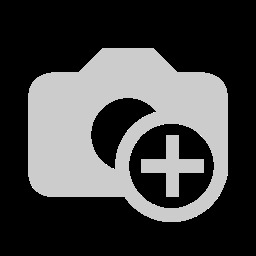 Considering a black-tie scale wedding? A wedding that’s simple, but chic. A colour palette of black and white. 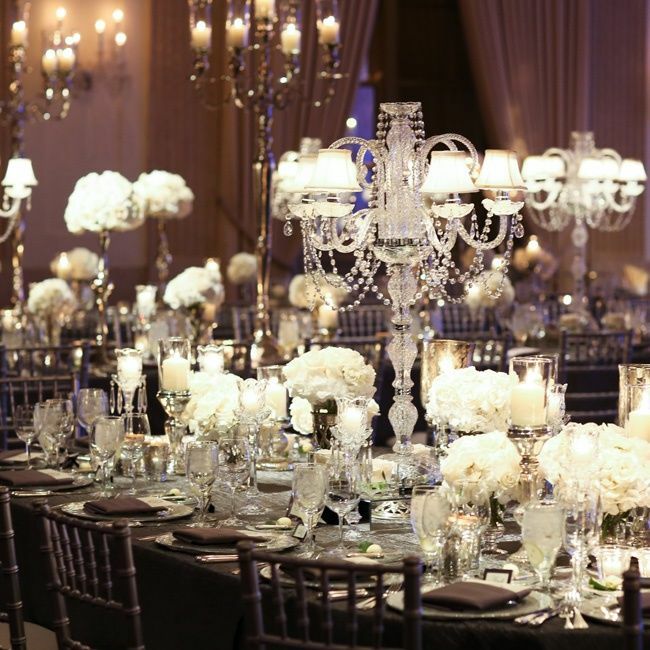 Tall white centerpieces accented by greenery and tea light candles on the guest tables. 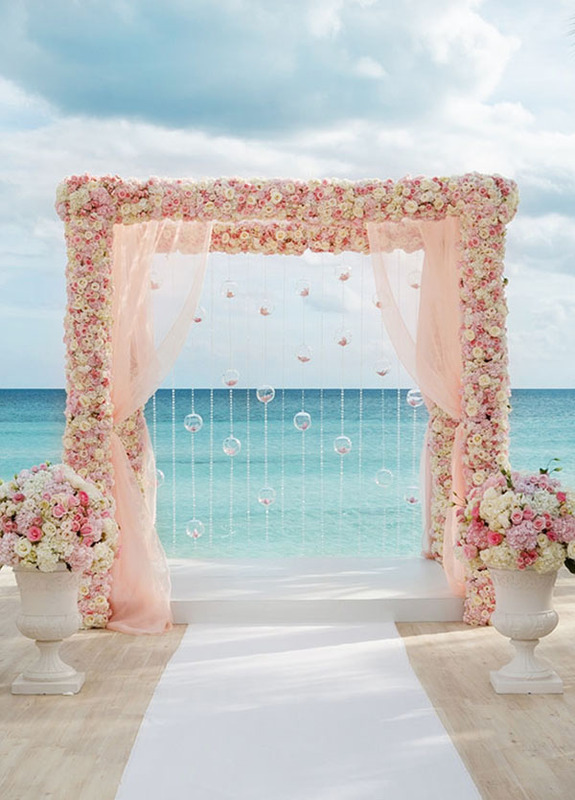 Romantic weddings are all about celebrating romance with soft colors, lighting and flowing dresses with airy fabrics. A classic black tux for the groom and the bridal party in matching floor-length gowns. 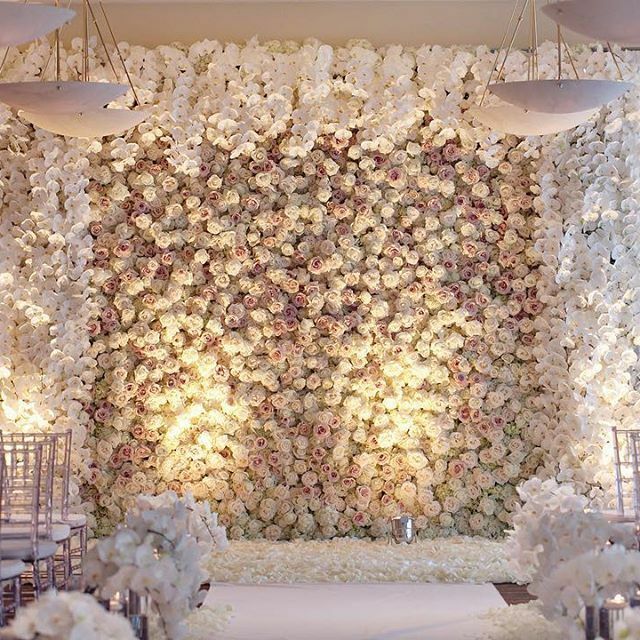 Aisles with flowers, huge strands of white flowers and a ceremonial arch covered in flowers. More is better when it comes to floral when going with a romantic theme. 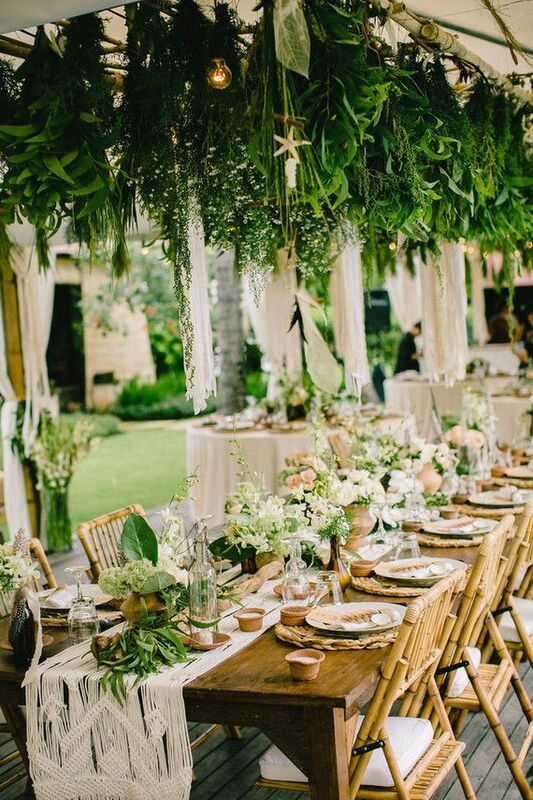 If you envision a more intimate, casual ceremony, opt for an outdoor garden party-themed wedding. 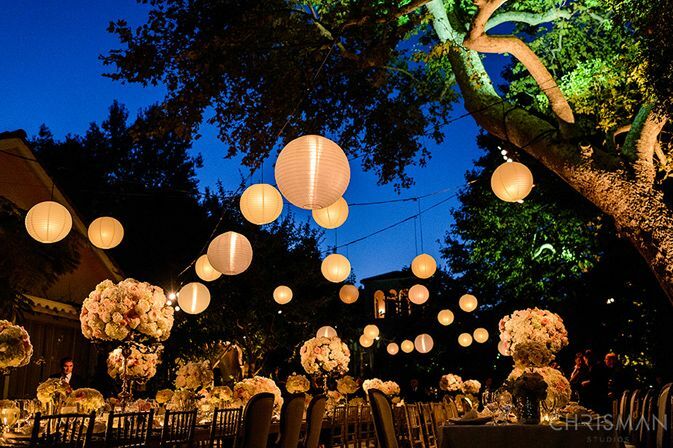 This laid-back style is perfect if you desire a backyard wedding or if the wedding is in the spring or summer. This inspiration comes from past decades. Antique-looking decor, like weathered doors and a classic getaway car. Instead of tablecloths or runners, tables might be draped with delicate layers of lace. Old furniture makes the best statement, so a lounge area with old armchairs or love seats would create the perfect ambience. A modern wedding is all about exquisite simplicity. Expect a mix-and-match of patterns in a playful, but incredibly sophisticated fashion. Clean lines, geometric shapes and minimal design. The theme is reflected in every detail. 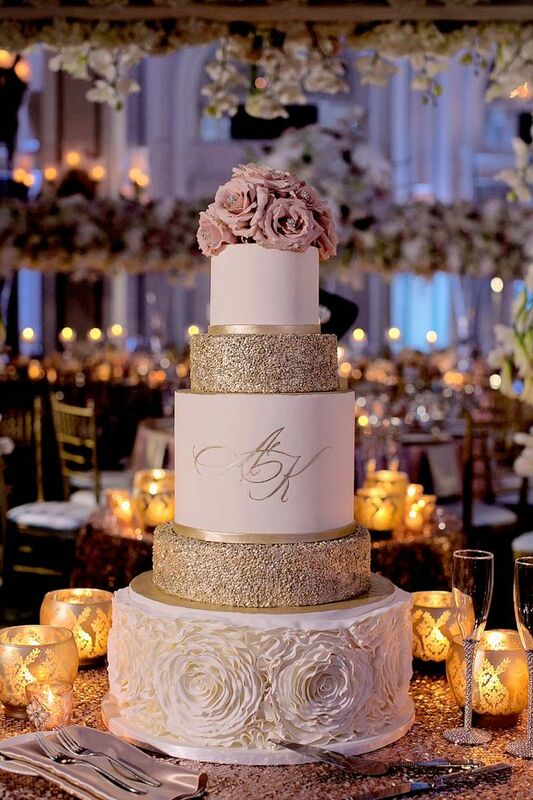 A modern monogram or cool logo may be used to personalize the menus and the dance floor, while the cake will be simple but extra delicious. 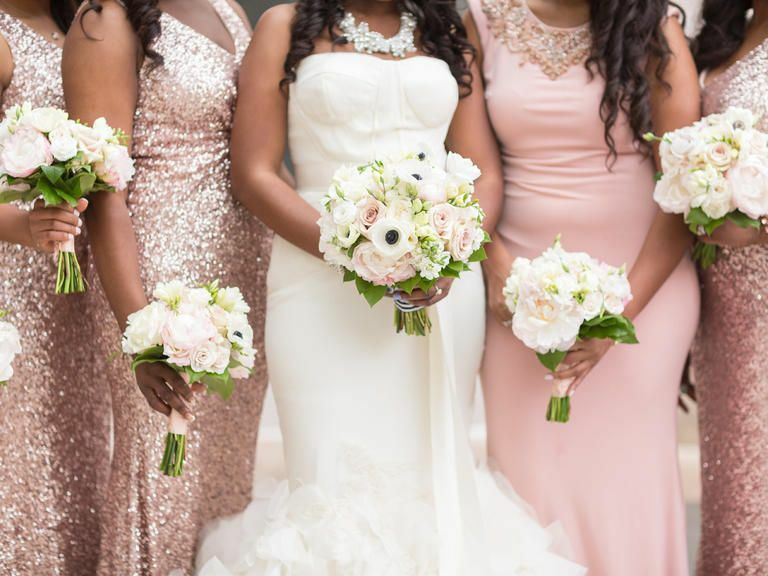 Glamorous weddings probably have a few jaw-dropping details that end up all over Instagram. Like a flower wall, elegantly draped fabric linens or exquisitely prepared food. The décor can range from neutral minimalist to over-the-top and extravagant. Metallics are a must. 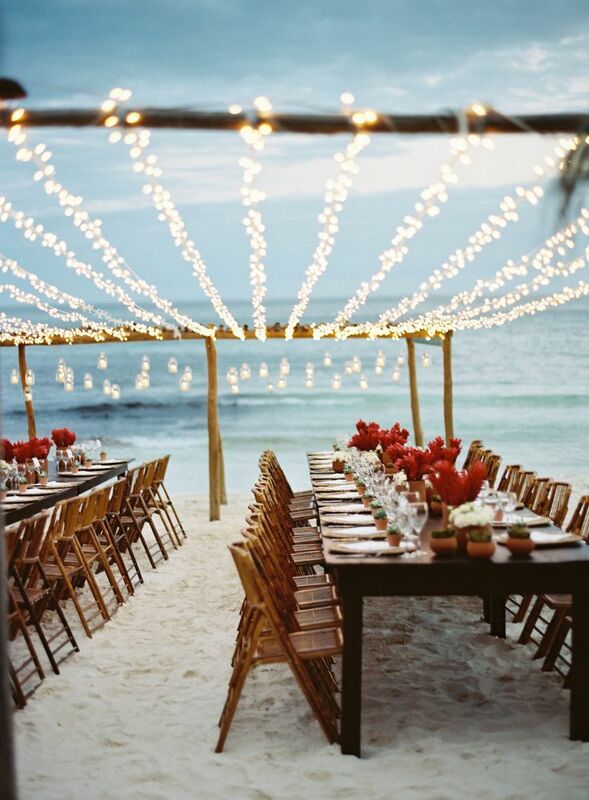 The idea of a beach wedding, or if there’s no beach available, with at least a touch of nautical details is appealing to plenty of couples. 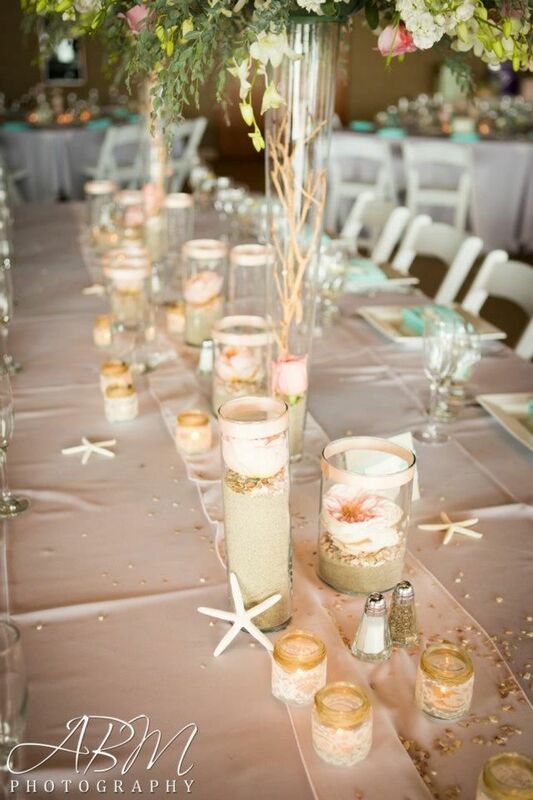 Couples who are looking for a summer wedding and love the hues of icy blue and seafoam green. 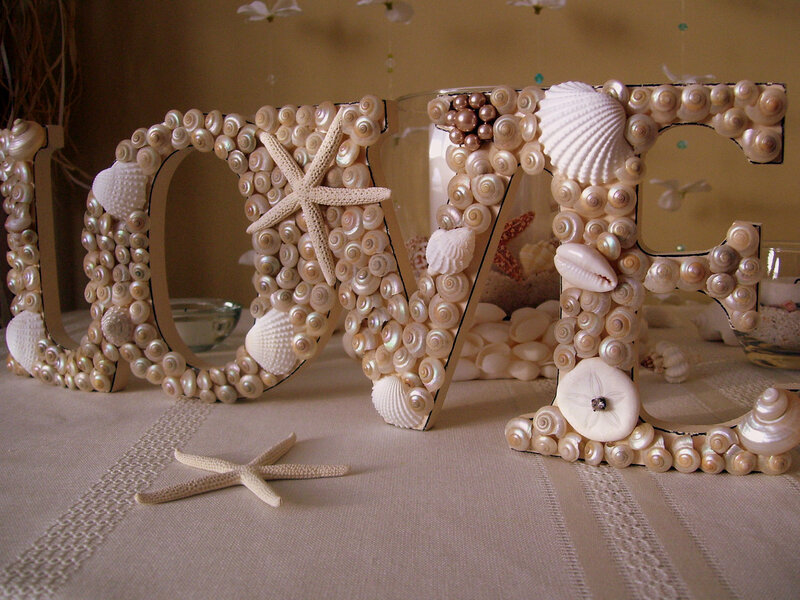 Pair that with preppy stripes and anchors for the decor. 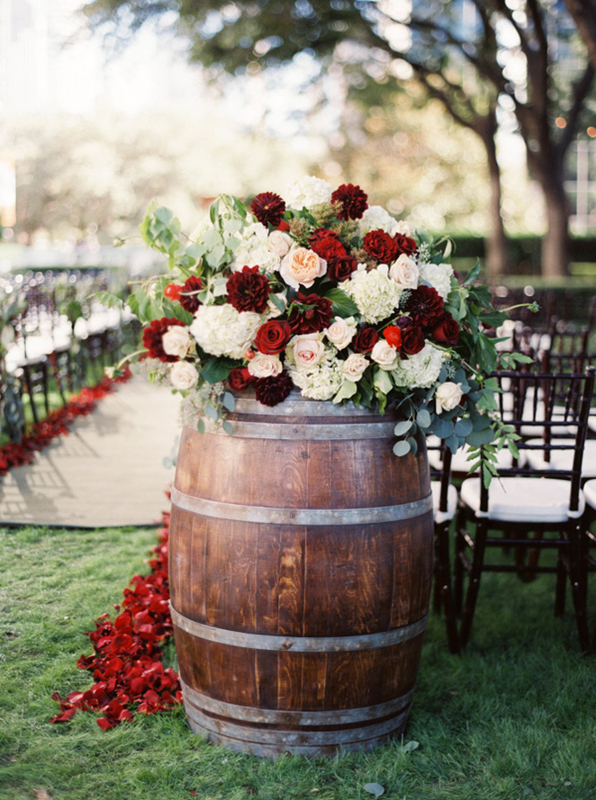 Fine wine, good food, and gorgeous scenery complete a vineyard wedding theme. 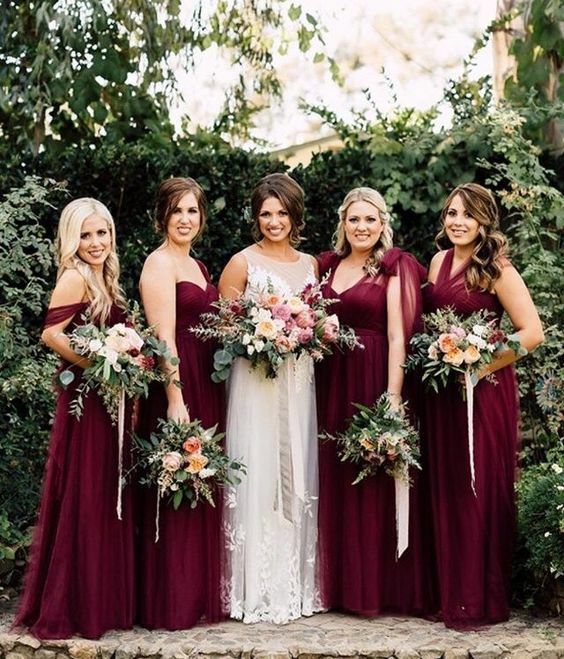 No matter the season, a lush color palette of forest greens, cabernet reds, and oaky browns that lend themselves to a warm, romantic wedding day vibe. Doll up your bridesmaids in leaf-green bridesmaid dresses and keep ceremony décor simple by using the sprawling vineyard and oak trees as a backdrop. 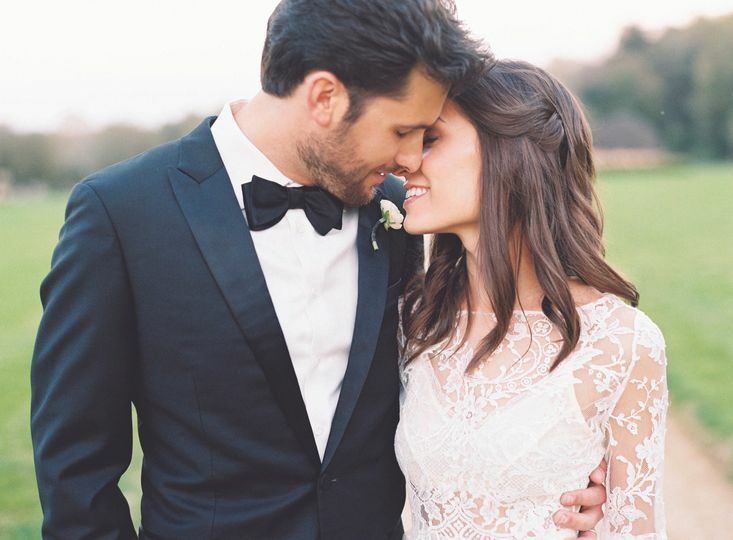 A bohemian wedding remains cool and carefree, but still beautiful. Boho styles have a way of looking incredibly chic, with minimal effort. The color scheme is usually a palette that can be found living in a garden. Keep your venue decorations simplistically elegant, with oriental rugs lining the aisle and altar, decorative pillows, or hanging macramé decorations. The reception would definitely feature a cozy lounge area, complete with teepees and poufs. If no one theme speaks to you, there’s nothing stopping you from incorporating pieces from several themes, or choosing a completely original style. It’s your wedding, so play by your own rules.